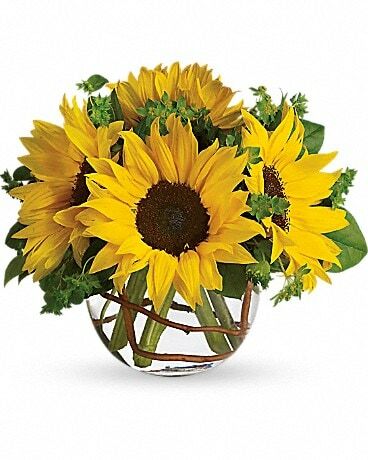 FTD® proudly presents the Better Homes and Gardens™ Sending Thanks™ Bouquet. 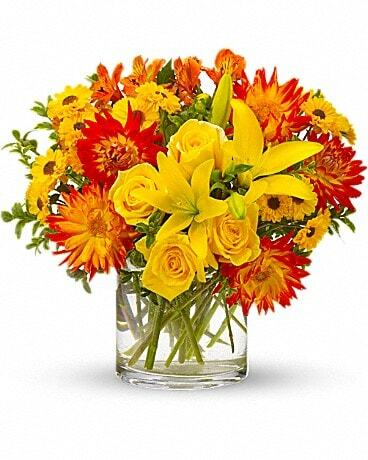 Show your gratitude with this blushing bouquet of beauty. 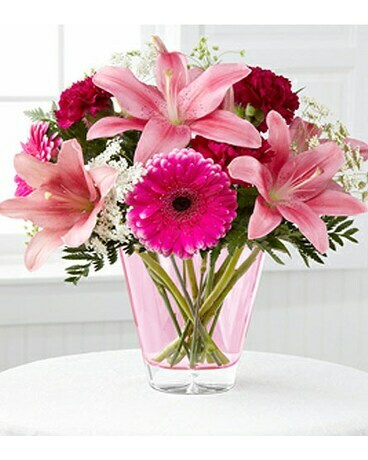 Fucshia gerbera daisies, pink Asiatic Lilies and burgundy carnations are offset by Queen Anne's Lace and lush greens and arranged in a designer pale pink clear glass vase to create a bouquet of elegance and soft charm, conveying your deepest thanks with each exquisite bloom.